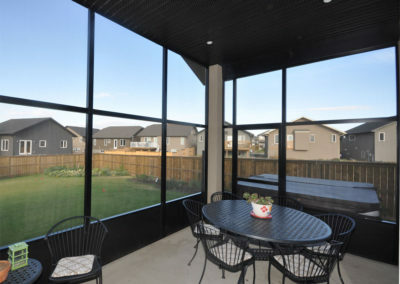 Protect yourself from the harsher elements while still letting air and light flow in. 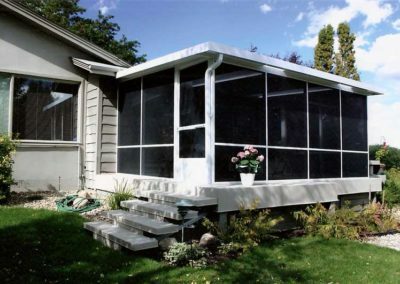 A Pacific Screen Room takes you to a new level of outdoor living enjoyment. When it’s the time of year to enjoy the outdoors, the last thing you want to worry about is the wind, the rain, and those pesky mosquitoes we Saskatchewanians just love. 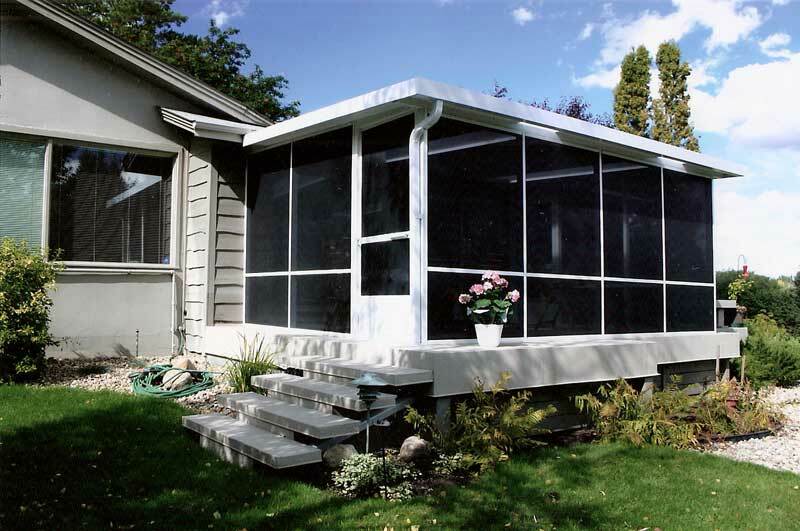 A Pacific Screen Room is the answer to eliminating those annoyances and letting you make the most of the season. 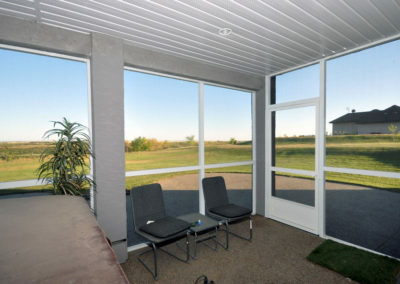 The Pacific Screen Room is economical, maintenance free, installs quickly, and lasts a lifetime. 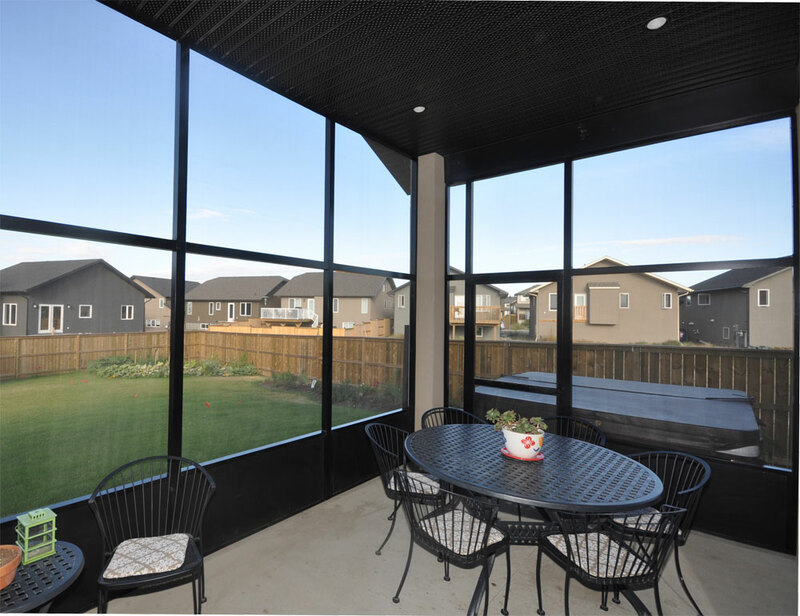 A wide range of options for roof and walls combine to provide you with a comfortable, pleasant area for that morning cup of coffee, entertaining friends, or just plain relaxing. Imagine no more putting away the patio furniture. Wind, rain, insects, snow, no longer a problem, and the outdoors is yours to enjoy. 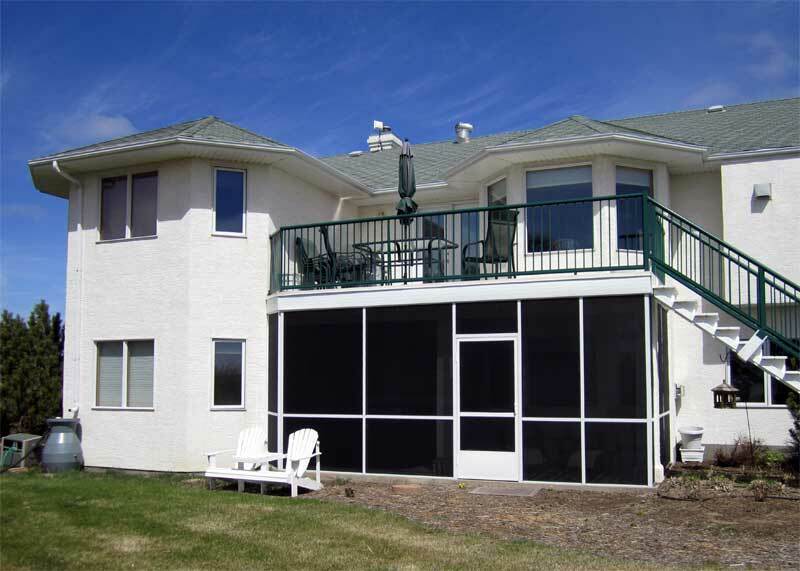 Maintenance free aluminum framework with custom colours available. Infill panels or aluminum railings if called for. Regular or Phifer Suntex wind and heat control screening. 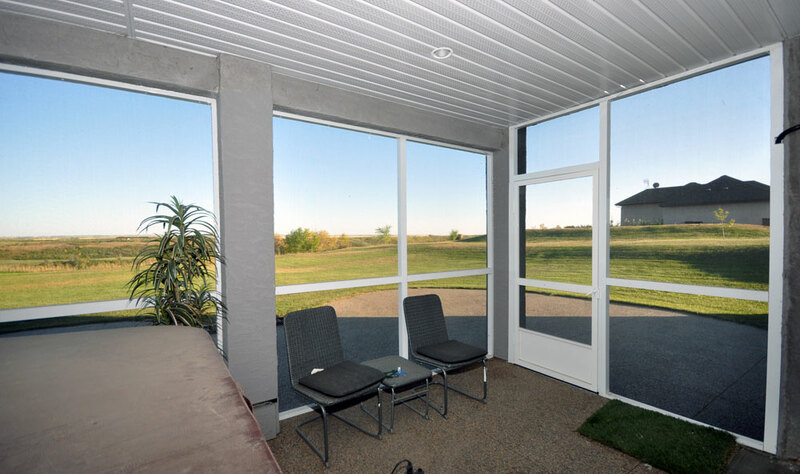 Inswing or outswing screen doors. Sturdy and attractive roof system with choice of panels or skylights. Smooth fascia and built in gutter for an attractive, clean finish. 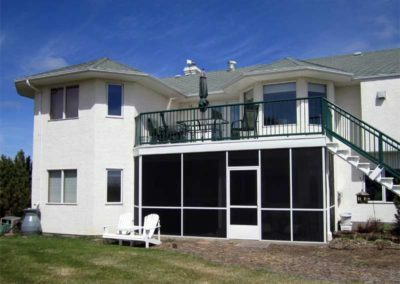 All products meet the Saskatchewan engineering and snow load requirements.